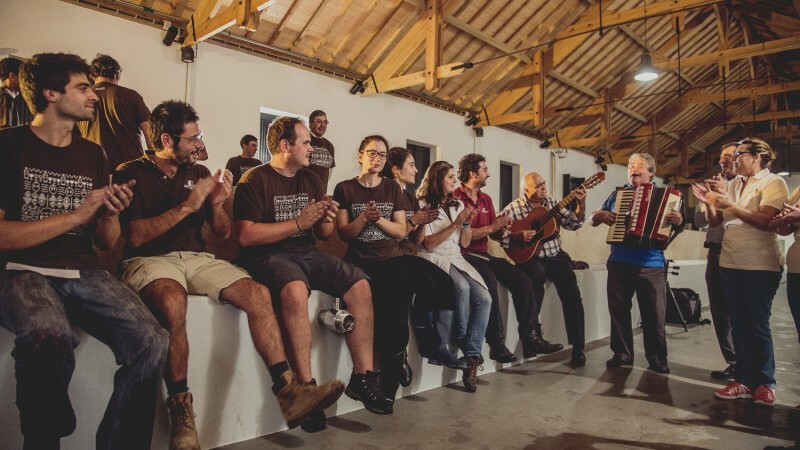 The winery, which covers 2,000 square metres, is typical of the Douro, in that it was designed to process grapes for port and Douro wine at the same time. Divided into three sections, the winery has enjoyed considerable investment, which has enabled it to adapt and renew most processes for the coming years. Currently, it is split into two parallel wineries that differentiate operations according to the standard of the wines produced. 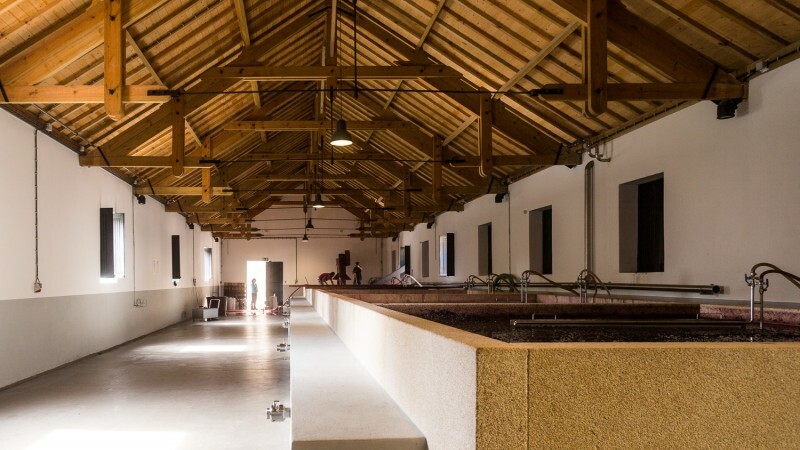 Totally renovated on one of the farm’s landings, the process relies entirely on the force of gravity, from the reception and manual selection of the grapes to pressing. The winery was designed with the project’s ambitions in mind, using an open format to avoid the accumulation of gases during the grape harvest. The copper roof helps the building blend in with the wild and austere Douro landscape. The winery is equipped with a pneumatic press and a series of small, conical stainless steel vats, which allow greater control of how each grape variety and plot is vinified, as well as separating each constituent part more precisely and equipment for délastage. The colheita winery is currently reserved for the Assobio wine. Built in 1955 and renovated in 2010, the lagares winery was designed to produce wines the old fashioned way using the convenience of modern technology, making it possible to process the best grapes in eight traditional granite wine presses, with the benefits of temperature control, while macerating the grapes using the traditional treading method. The pressing is done slowly and gently in an old vertical press, which obtains the best results from the Quinta dos Murças grapes. The lagares winery is reserved for Quinta dos Murças Reserva wines and our ports.